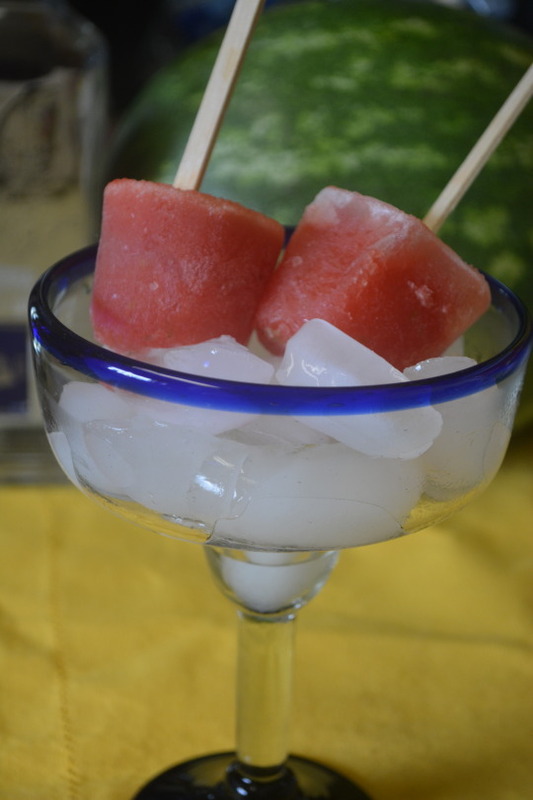 Add the watermelon, milks and rum to a baking dish, whisking to combine. Cover the dish and place it in the freezer for 6 hours or overnight. When you’re ready to eat his, scoop your portion into a bowl and sprinkle it with the fruit seasoning afterwards. Top with mint and enjoy ! You taste watermelon first and foremost but you can taste the coconut milk as well. The coconut milk and condensed milk gives this dessert a nice creamy texture. You taste the rum but it’s not too strong tasting. We weren’t paid in any form to promote Bacardí or Chile Pepper magazine. In a large mixing bowl, mix the sweetened condensed milk, creme de menthe and creme de cacao together. Fold in the whipped cream until combined. Spoon equal amounts into 6 to 8 individual serving dishes. Place the dishes in the freezer for 3 hours or until firm. Garnish however you’d like (we used mint leaves). If you’re going to have any leftovers, place them back in the freezer. *We whipped the cream until it was slightly past a soft peak stage. This is so freaking delicious ! You can taste the mint and chocolate flavors the liqueurs give to the dessert but it’s never overpowering. Even though you taste the mint and chocolate flavors, we ourselves never got a “buzz” from eating it. You do get sweetness but we wouldn’t describe it as rich or cloyingly sweet. If your serving lasts long enough to melt, you will taste the sweetened condensed milk more. The mouthfeel was incredible ! It’s light and so smooth that you won’t realize how quickly it disappears from your dish. This has become our new favorite summer dessert ! We weren’t paid in any form to promote Eagle Brand. 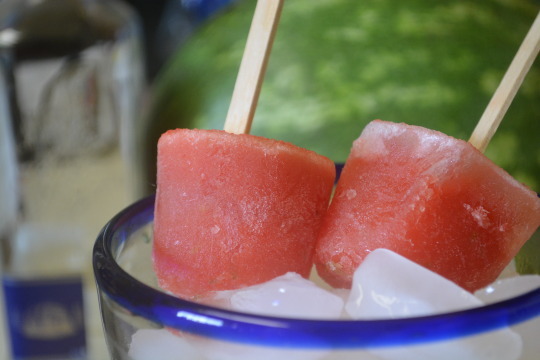 Add the lime juice and chopped watermelon to a blender, processing until smooth. Take a fine wire-mesh strainer and place it over a large measuring cups (we used a large bowl instead of a measuring cup). Pour the watermelon mixture through the strainer, discarding any leftover solids. Pour the mixture into 12* (3-oz.) paper cups. Cover each cup with a small piece of aluminum foil. Make a small cut in the center of the foil and insert a pop stick into each cup. Place the cups in the freezer for 8 hours or until firm. *Depending on how well your blender can process, you may end up with enough mixture to fill more than 12 cups. For us, we had enough for 19 cups. If you’re someone who wants to be able to actually taste alcohol when you have a drink, you’ll love these pops ! You do taste the alcohol but the watermelon still comes through as well. Don’t know if eating these will get you drunk per se, but they are delicious ! We weren’t paid in any form to promote Jose Cuervo or Southern Living.